Yogurts are a hugely popular dessert option regardless of whether you’re following Slimming World or not. 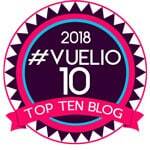 However it can be a bit of a minefield when it comes to choosing the best Slimming World options. 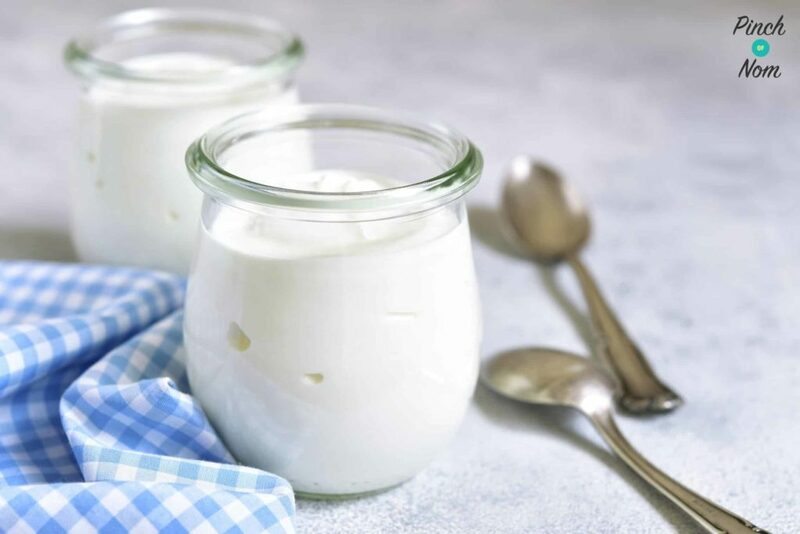 Fear not, here’s our guide to Syn Free Yogurts. We’ve updated it to take the Syn changes for yogurts into account. If you missed the announcement, you can read about the changes here. You only have go to where the yogurts live in a supermarket to realise there’s loads to choose from. Are All Fat Free Yogurts Syn Free? No! It’s easy to presume that all ‘fat free’ yogurts are automatically Syn Free, but unfortunately this is not the case. It’s something that most Slimming World members will have done at one time or another, we certainly have! Take as a prime example Onken yogurts. We’ve recently featured Onken 0% Fat Natural Yogurt in our Slimming World Shopping Essentials list, which is published every Friday. 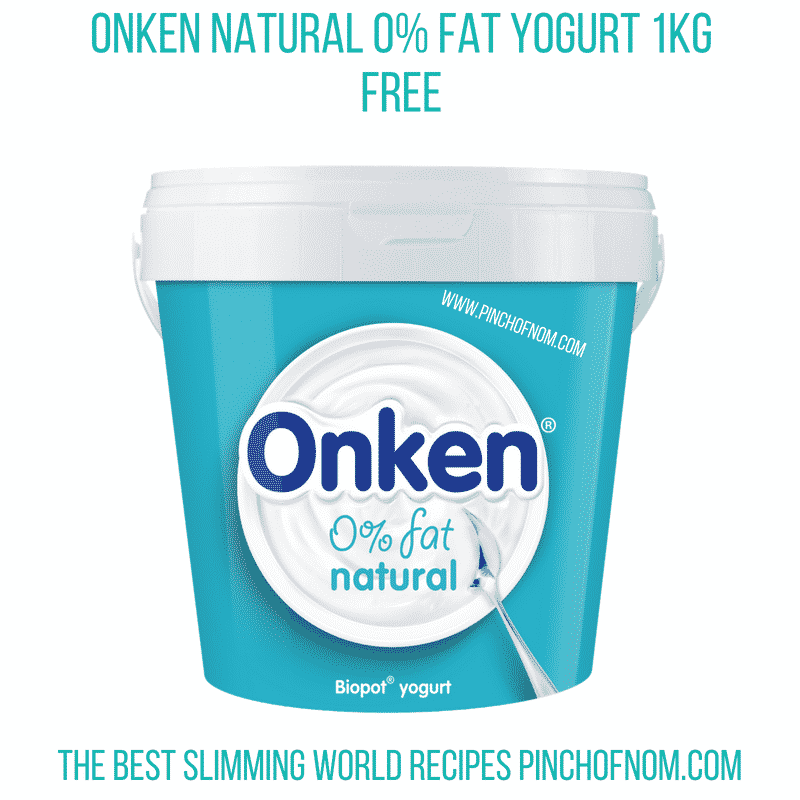 We recently featured Onken 0% Fat Yogurt on our Slimming World Shopping Essentials list. It’s Syn Free! Onken 0% Fat Natural Yogurt is a Free food. Onken also do many flavours of their Fat Free Yogurts. Onken Fat Free Yogurt in Vanilla and Strawberry flavour comes in at 6 Syns for a 450g pot, huge difference! Just to confuse matters even more, Slimming World have announced changes to the Syn values of all flavoured yogurts. Many brands of yogurt that were free prior to this announcement now have a Syn value. This is why it’s really important to have access to the Slimming World app to check Syn values using the food search. This is the only place you’ll be able to find the definitive answer about Syns. It might surprise you to hear that not all yogurts are vegetarian. This is because some ‘low fat’ yogurts contain gelatine. This includes Muller Light yogurts, which are undoubtedly some of the most popular yogurts on the market. Muller are reportedly working on a vegetarian alternative for their Muller Light yogurts, but this has yet to come to fruition. If yogurts being vegetarian is a concern for you, always check the ingredients on the packaging, as this will inform you if gelatine has been used in the recipe or not. Can You Buy Dairy Free Yogurts? Whether you’re cutting out dairy products due to a medical requirement or simply want to cut it out of your diet, there’s now plenty of choice available when it comes to Dairy Free yogurts. By far the most popular brand of Dairy Free yogurts is Alpro. They have a vast range of yogurts that are not only dairy free, but carry a low Syn value. They may not be Syn Free, but at just 2 Syns for Mango flavour or 2.5 Syns for Cherry for a 400g pot, they can certainly fit into the Slimming World plan! If you like a Dairy Free yogurt that includes some texture and bits in, they do a plain flavoured yogurt containing oats. Great served with some Speed Food fruit! Can You Buy Aspartame Free Yogurts? Aspartame is a sugar replacement product that is found in many sugar-free food and drink products. It’s role in food and drinks is to be a sweetener without using sugar, which we all know can make a product rather unhealthy in high doses. You only have to google Aspartame to be greeted with a wealth of opposing views, opinions and controversial health concerns about this sweetener. Regardless of your views on this product, some people choose not to consume Aspartame. The good news is that there are now aspartame-free yogurts on the shelves of the supermarket. 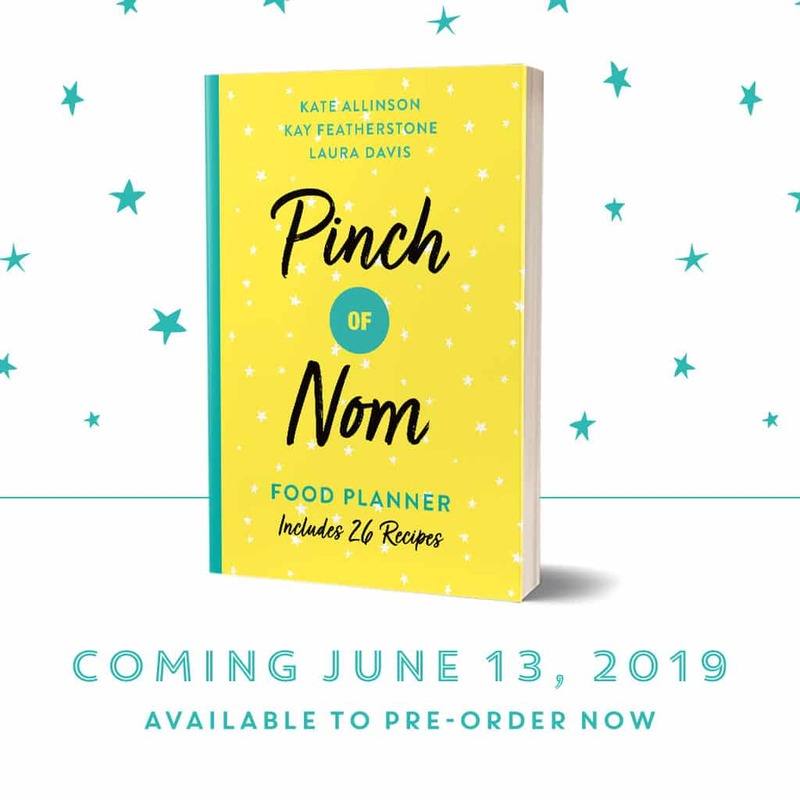 The downside is that they’re no longer Syn free on the Slimming World plan, but they’re still pretty low, so fine to enjoy as part of your allowance! Danone Light and Free yogurts are vegetarian, aspartame free and they’re also rather tasty. 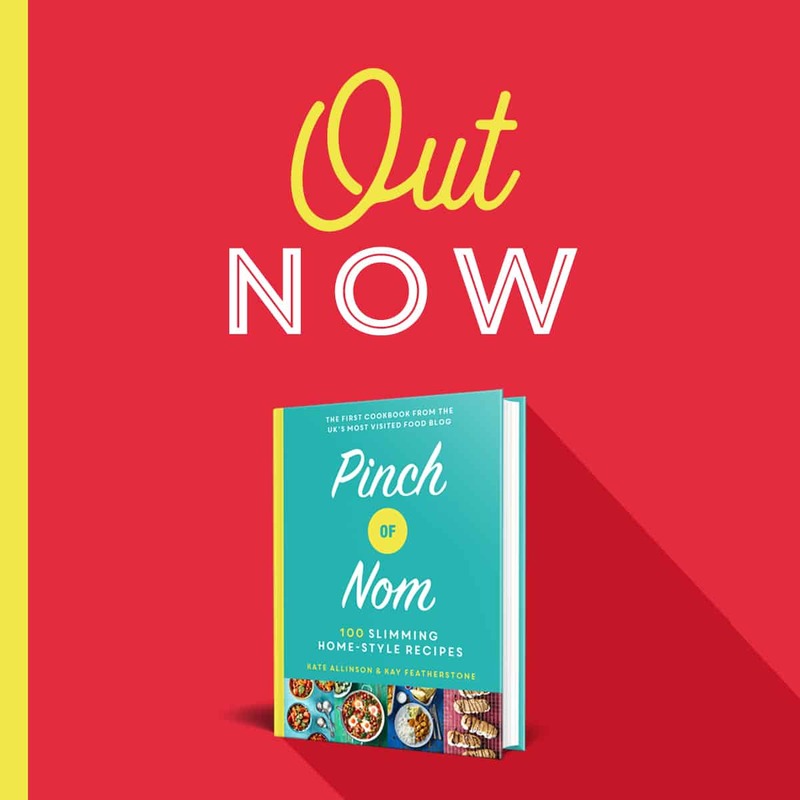 We’ve featured them in our Slimming World Shopping Essentials lists in the past. They’re available in a multipack of 4 x 115g pots, or as individual 150g pots. For the most accurate Syns information, please check the Slimming World website. 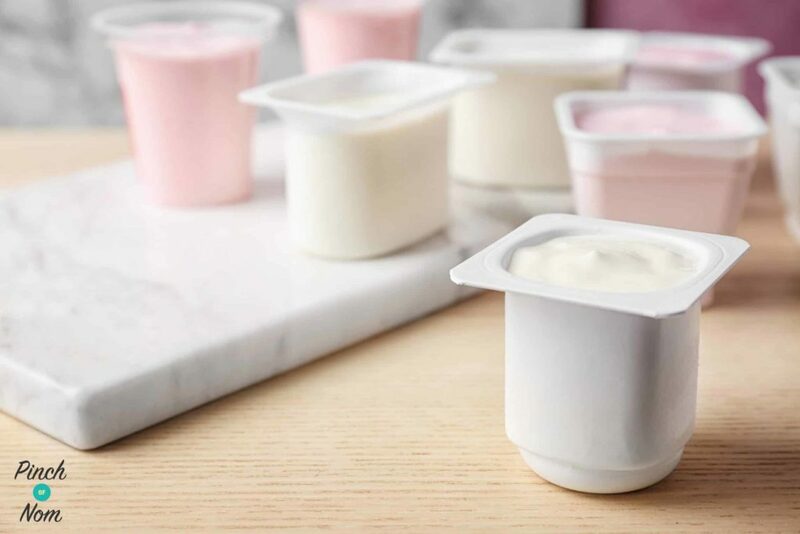 Which Yogurts Have Bits And Texture In Them? 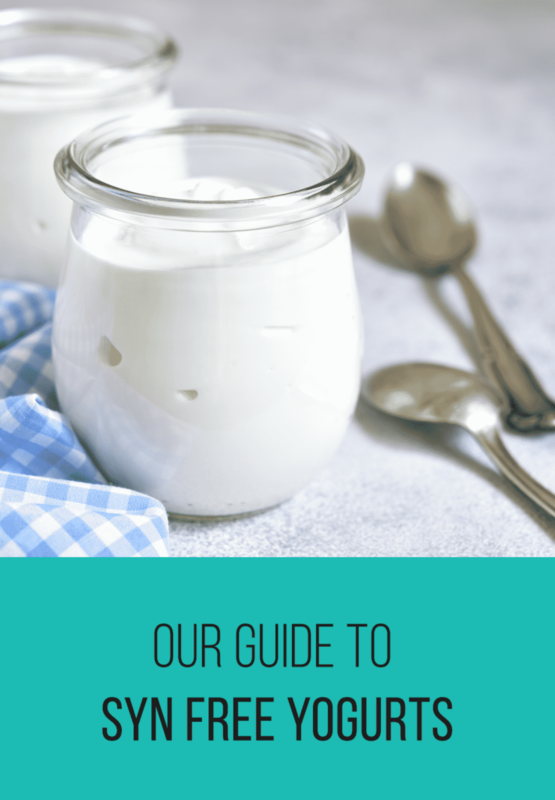 Whether a yogurt is Syn Free or not, some of them contain bits in them and some of them are smooth. This is important when it comes to fruit flavoured yogurts, as many people are not a fan of having bits in their fruit yogurts! Muller Light yogurts are probably the most popular low Syn fruit yogurts available in the supermarket. Flavours such as Vanilla, Toffee, Raspberry & Cranberry and Banana & Custard are smooth, whereas fruity flavours such as Cherry, Strawberry and the flavours that contain chocolate pieces all have bits in them. If you’re really not a fan of bits in your yogurt and you’re having to rush in the supermarket, it’s safer to stay away from the fruit flavoured yogurts. To cap things off, we’re going to show you our favourite low Syn fruit yogurts that you can pick up from the supermarket. 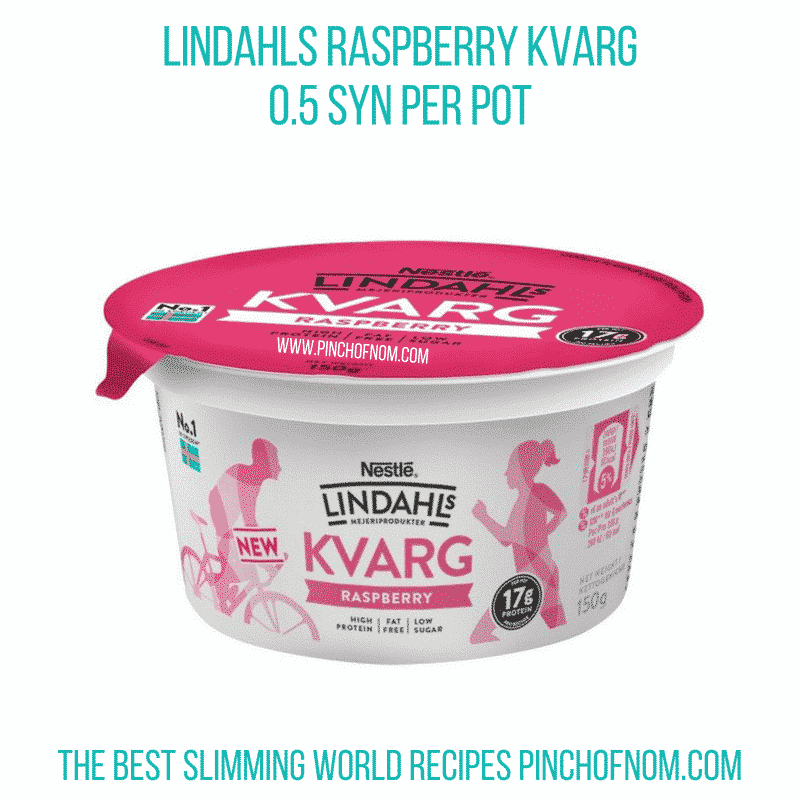 We’ve featured these low Syn fruit yogurts in our Slimming World Shopping Essentials lists throughout the last few months. 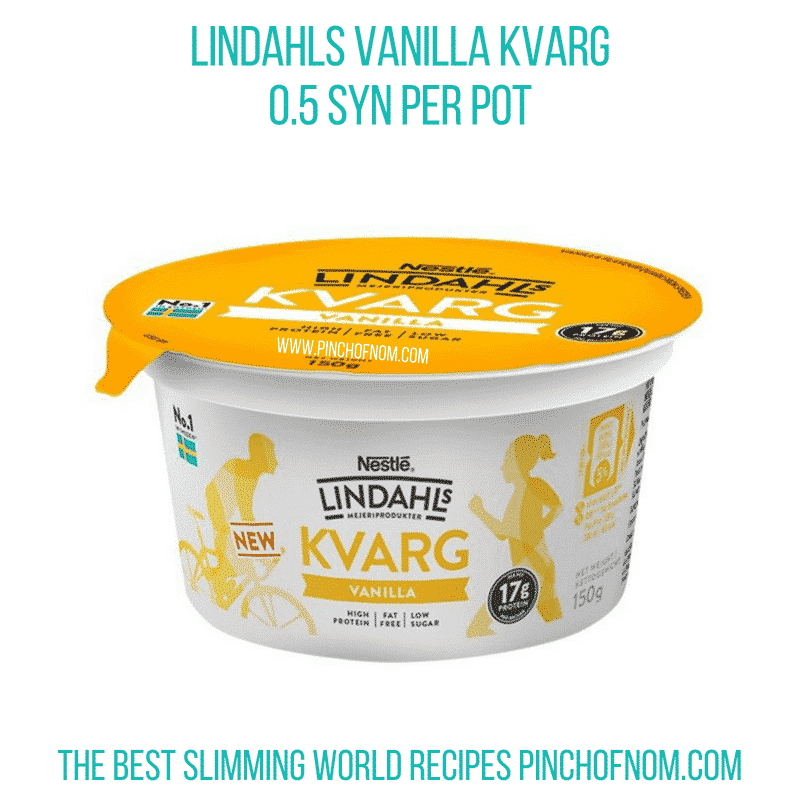 Lindahls Kvarg yogurts have been popular for a long time for those shopping in the likes of Home Bargains and Asda, but now they’ve been unleashed onto the shelves of Morrisons. 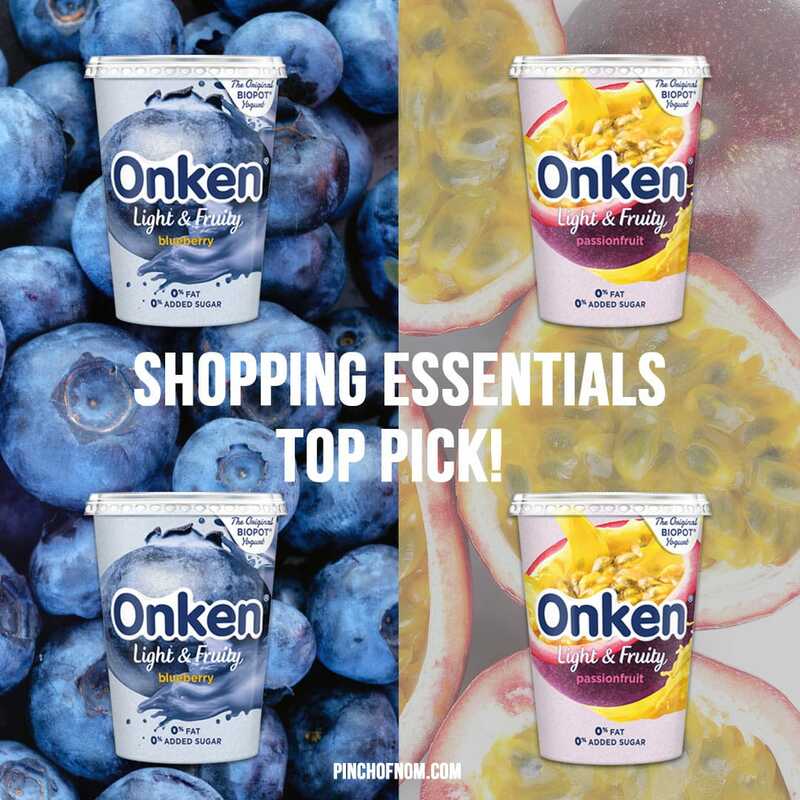 We featured Onken Light and Fruity as a Slimming World Shopping Essentials Top Pick – They’re 1.5 Syns per 450g pot. As has been mentioned in this article, more often than not the larger pots of flavoured yogurts will contain Syns. Onken Light and Fruity yogurts are now 1.5 Syns per 450g pot. They’re also vegetarian! You can buy Onken Light and Fruity in both Passionfruit and Blueberry flavour from Asda. 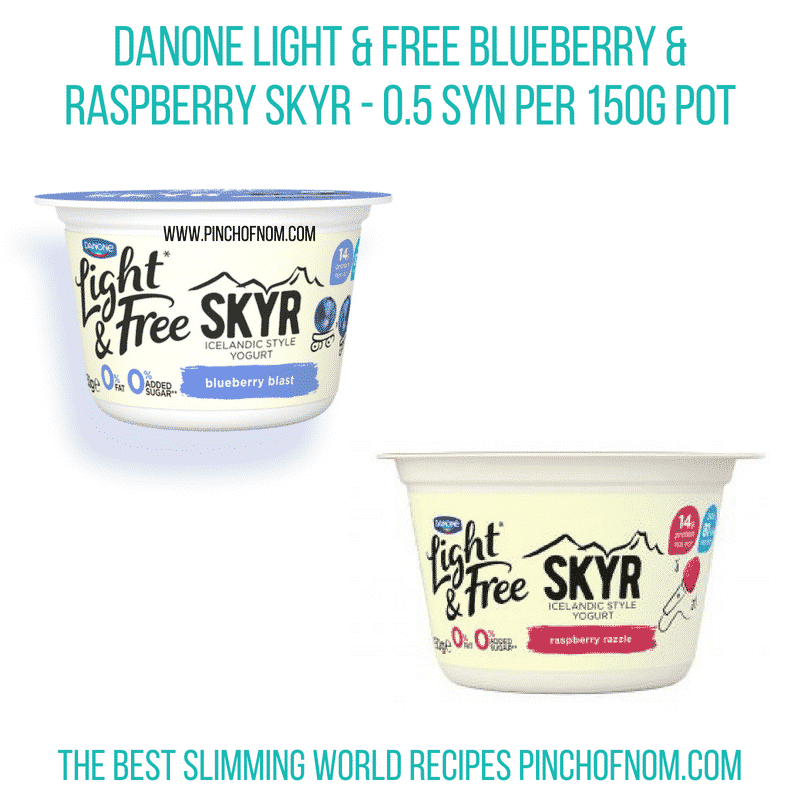 Another appearance for Danone Light and Fruity, this time in Skyr form. Skyr is a traditional Icelandic yogurt that’s a bit thicker than regular yogurt. As well as this being free of gelatine and aspartame, it’s also pretty low in Syns at 0.5 Syns per 150g pot! You can pick up Danone Light and Fruity Skyr in Blueberry and Raspberry flavours from Tesco. Yeo Valley Family Farm 0% Fat Bio Light yogurts are another of our favourite yogurts. They’ve got nearly all the bases covered, organic, vegetarian, free of artificial sweeteners, the lot! Although these used to be Syn Free, the changes announced by Slimming World mean that these now have a small Syn value. Yeo Valley Family Farm yogurts are available in Blueberry & Blackcurrant, Strawberry and Peach flavours, priced at £1.85 a pot in Sainsbury’s. 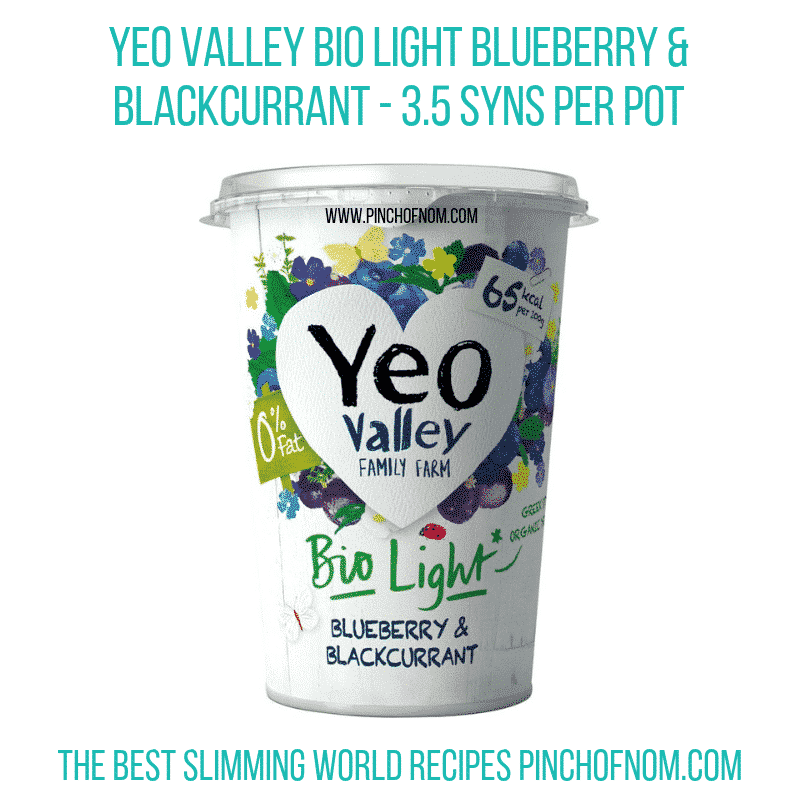 I’ve just checked the Yeo Valley yogurts suggested on here and they are not showing as syn free on the sw website. Als5 syn free is: St Helens Farm Goat’s Milk Yogurt fat free. This a smooth tasting alternative to dairy yogurt. It’s good to see that you include food allergy/intolerances as this is important to those of us who have health problems. Alpro products are another good alternative but are based on soya which could be a problem for some . We all know that losing weight can be difficult but when you have intolerances/allergies it’s even more difficult as syn values are often higher. Keep up the good work. Thanks for sharing this, Pat! The Yeo Valley syn free also comes in fours available in Tesco. These were advertised in SW magazine. Most of the Muller light range are free, but for accurate Syns information, please check the Slimming World website. These are all very helpful information, as I have just join slym word. What about SKYR yoghurt by Arlo – how many sins do these have? – Tesco did sell the Danone ones but have now changed to these!!!! For Syn queries, please check the Slimming World website. We don’t answer syn requests in this group, but if you don’t have access to the SW website then there are a number of FB groups dedicated to providing Syn values. Hi are greek style fat free yougurts free on slimmers world? 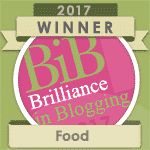 Fat free doesn’t always mean Syn free, I’m afraid! The only accurate way to find out is to refer to the SW app. is there a printable list of yoghurts and there syn values? Hi my name is joanne. I am trying to find the syn valve for alpro go on protein yogurts. have asked my slimming world consultant and tries the app and get seem to get any answers. Was wondering could you help. I have just been on holiday and come back to this startling exposè about yoghurt…the ones I eat as an insulin dependant diabetic are the only ones I eat, but I cannot find any info on them. Are they syn free ? Hi…Does anyone know the syn value of Danone Light and Free Kefir drinks? Please check Syn requests with Slimming World. Many thanks!